Today’s Mission: Save This Planet! Don’t worry; today’s entry has nothing to do with Al Gore. 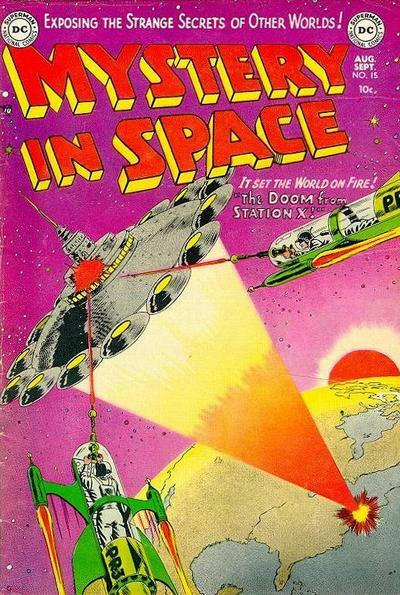 It’s all about something much more compelling, realistic and important: Comic-book covers! 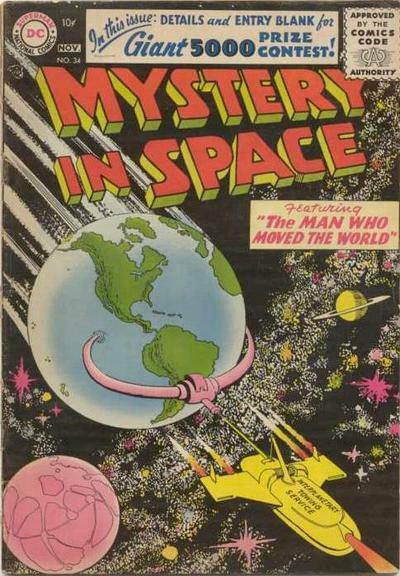 Mystery in Space, a DC-published comic that ran for 110 issues from 1951 to 1966, was one of my favorites. 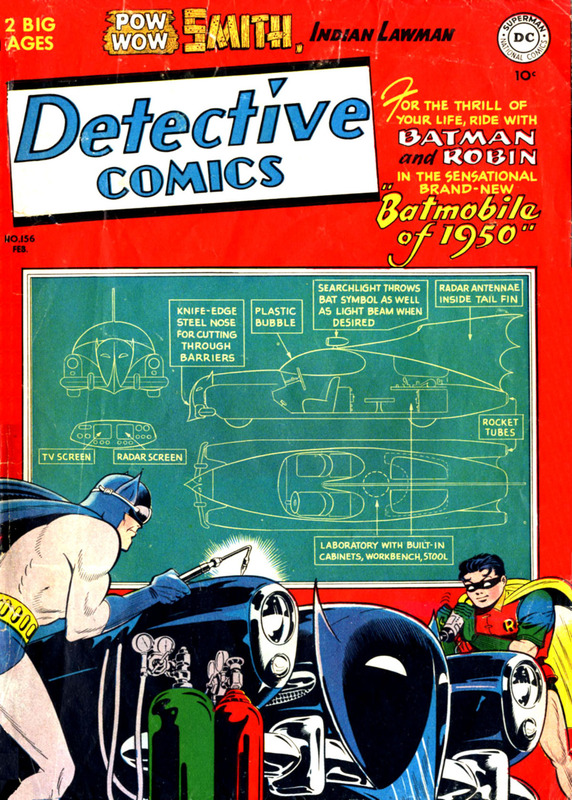 Edited by the amazing Julius Schwartz, it featured art by some of my favorite artists: Carmine Infantino, Gil Kane, and Murphy Anderson. 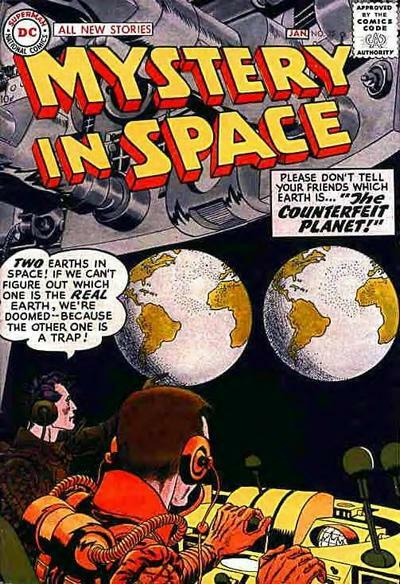 When I tippytoed into the world of professional comic-book production for a couple of summers while in high school, the first thing I learned was that the covers sold the books. 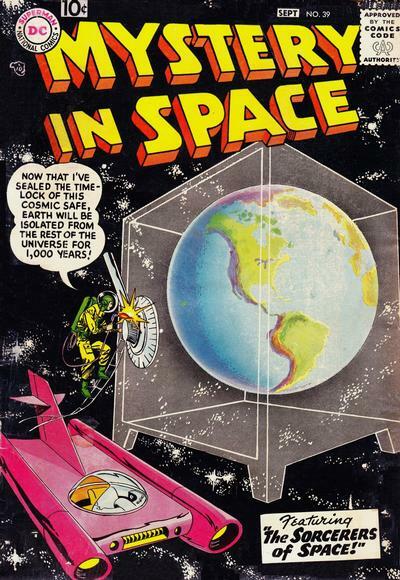 It was no accident that the covers of comic books were printed on glossy coated stock using high-resolution screens while the interiors were tossed off on newsprint with coarse screens and muted color reproduction. 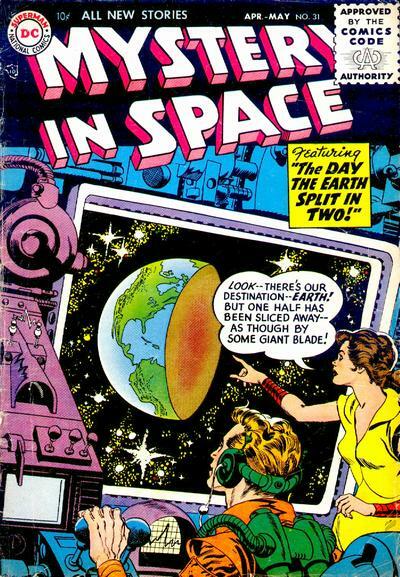 The art on the covers was almost always much better than what was found in the interiors of the book. So what? 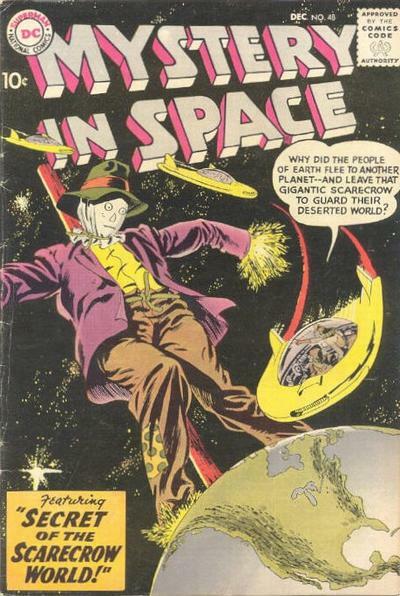 It was a stricture of the art form, and covers were what sold the books. 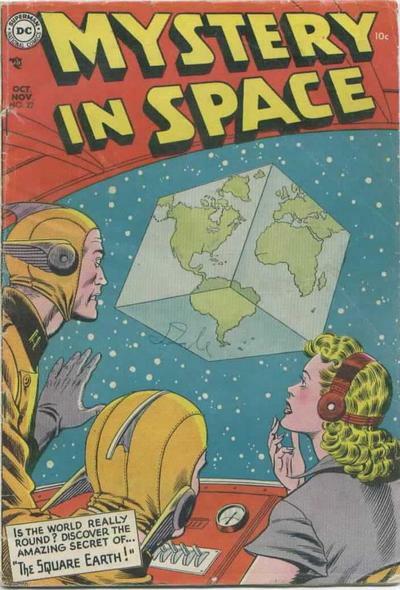 One of the leitmotivs of DC-comics covers, along with purple gorillas, Jimmy Olsen turning into something weird and Lois Lane in trouble, was perils to Earth. 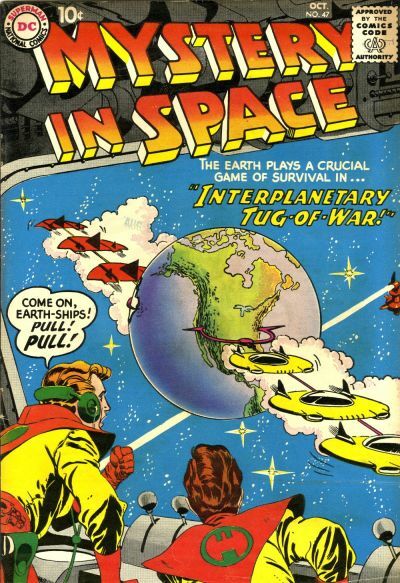 In the Mystery in Space books, editor Schwartz took this to a high level in the early days of the series. 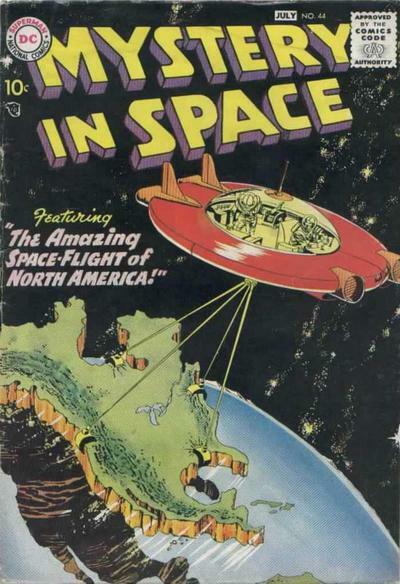 For pre- and early-teen American boys, this had resonance: we were just beginning the American space program, and who knew whether this might set off some trip-wire arranged long ago by aliens? It was worth staying up at night to worry about!!! 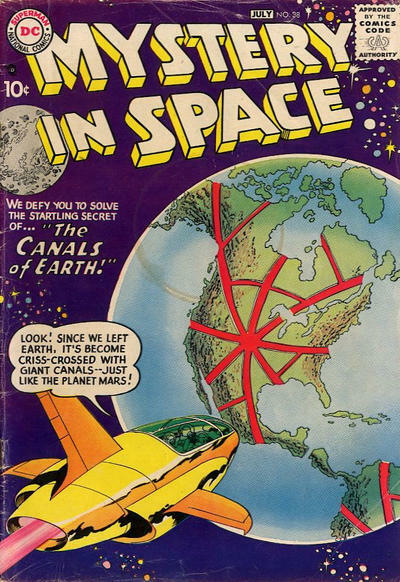 Also, and even more unsettling, these covers indicated that it was the Northern hemisphere that these evil aliens were focusing on. They could care less about Europe, Asia, Africa; their eyes were on the U.S.A!!! Were aliens watching our every move? Probably! 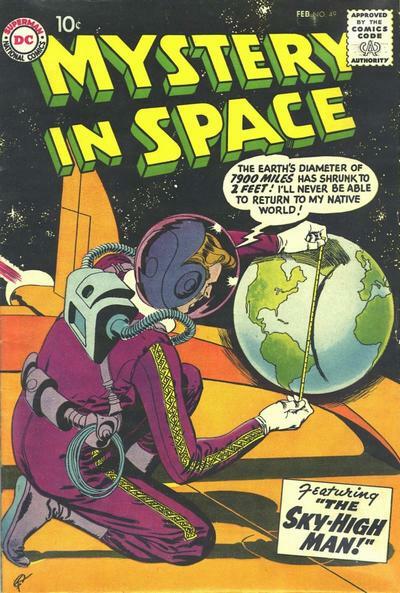 Were they thinking “Hmm; the primitive Earthlings have now reached the stage where they have both atomic weapons and the ability to rocket into space. We’d better smush them like bugs before they prove troublesome to us!!!”? What a burner for our species, huh? 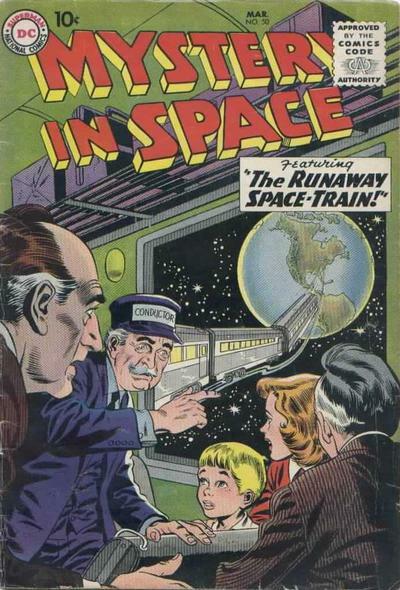 So we kids would look for, buy, read and re-read these comics. So what if this clarion cry came from a funny book? 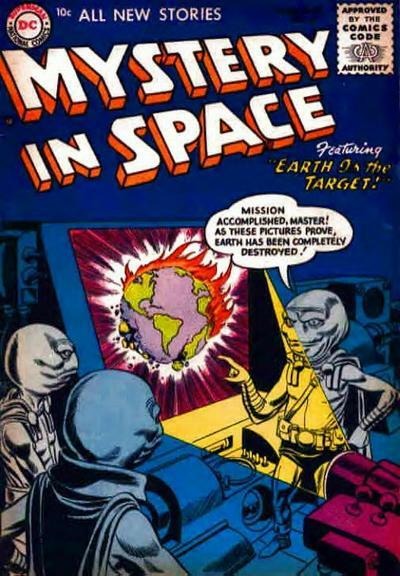 The guys who wrote and drew them were obviously smart; look at all the scientific facts crammed into these stories! 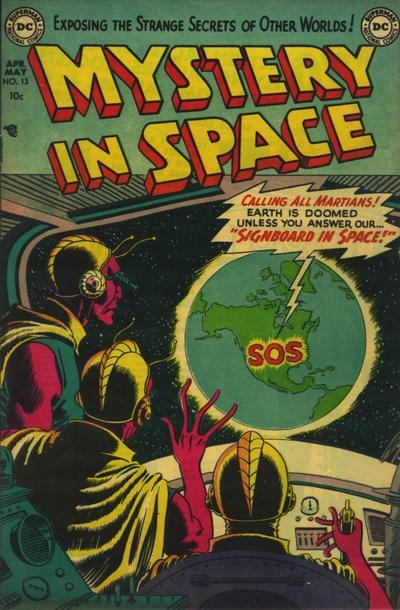 Here are, for your enjoyment and amusement and so you can prepare for our destruction, some of the great Mystery in Space covers showing Earth in peril. BE WARNED! THE ALIENS ARE OUT THERE AND THEY’RE WATCHING US!!! 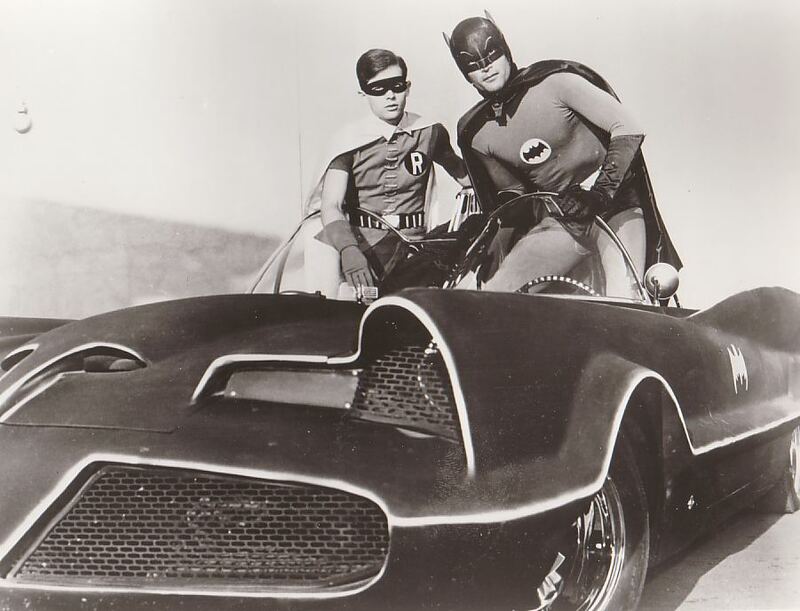 Today’s sale of the original TV-show Batmobile reminded me of my slight brush with the history of the various versions of the car. 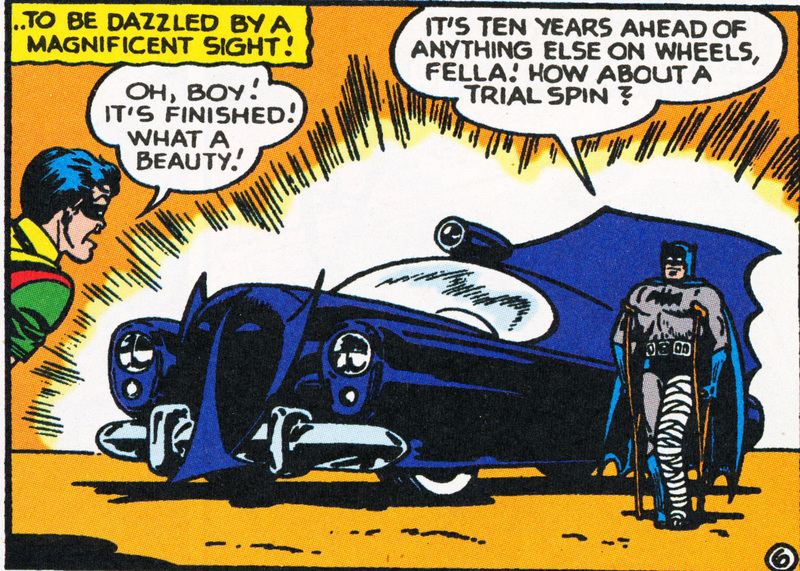 But by the mid-1960s, even I had to admit that 1950s Batmobile, still used in the comic books, was dated-looking. We had just moved down to Marathon, Florida, and I had time on my hands. 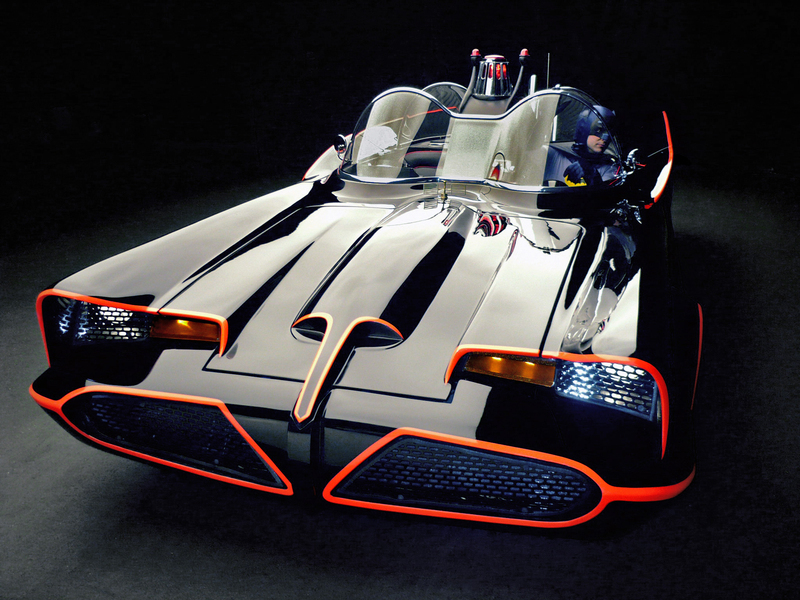 So, I decided to create a more modern Batmobile. 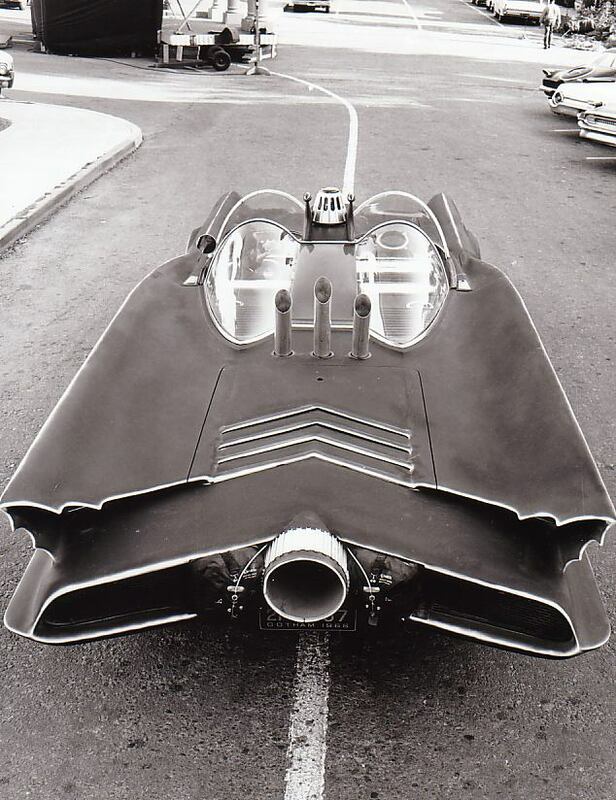 I chose the front end of a Pontiac of the era and the back end of a Chrysler; combining those was easy; then I added a couple of canopy bubbles like fighter planes had. And, to top it all off, I added a couple of hood and side scoops like Corvettes had. 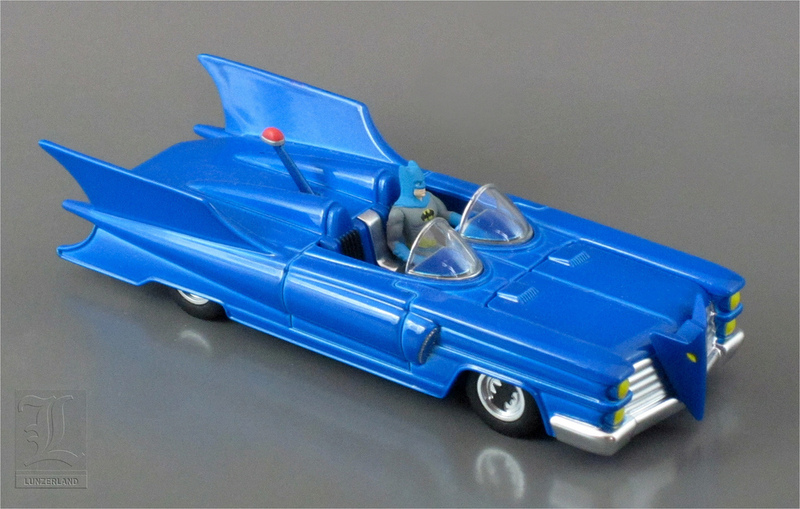 I made sure it had a bat face on the front and two bat-fins on the back! I drew a really clean version of the design and sent it to Mr. Julius Schwartz, an editor at DC Comics who seemed to encourage kids to become involved in the books. I promptly forgot about the whole thing until a few months later, when a postcard came from Mr. Schwartz; he always wrote on postcards. 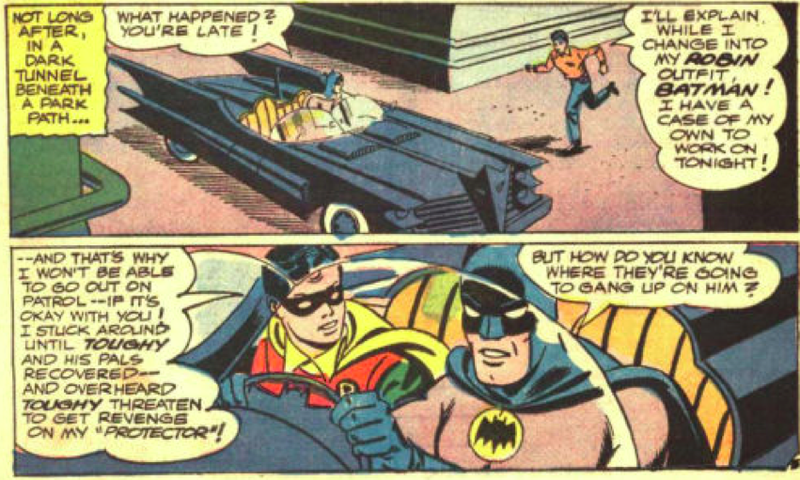 He was going to use my Batmobile in the comic books! And– WOW– I would get a free one-year subscription to all the comics he edited. 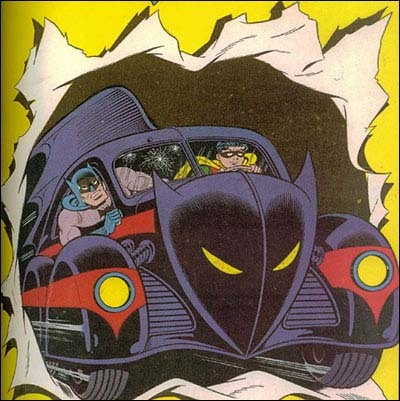 He edited a bunch of good ones, too: Batman, Atom, Green Lantern, Hawkman, Flash, Justice League of America! I was so proud! 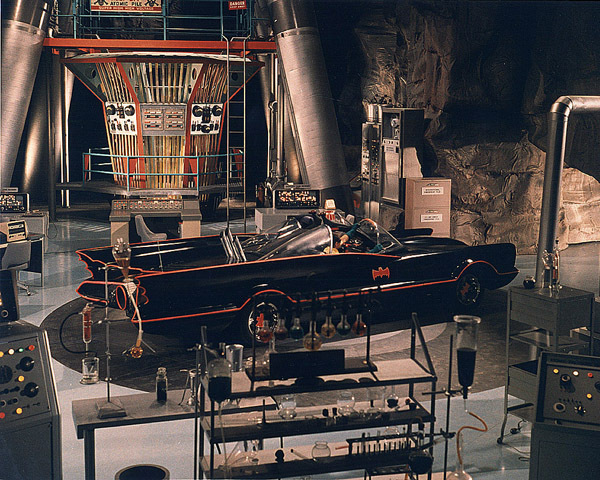 Then the TV show came out, and the Batmobile on the show made mine look like crap.